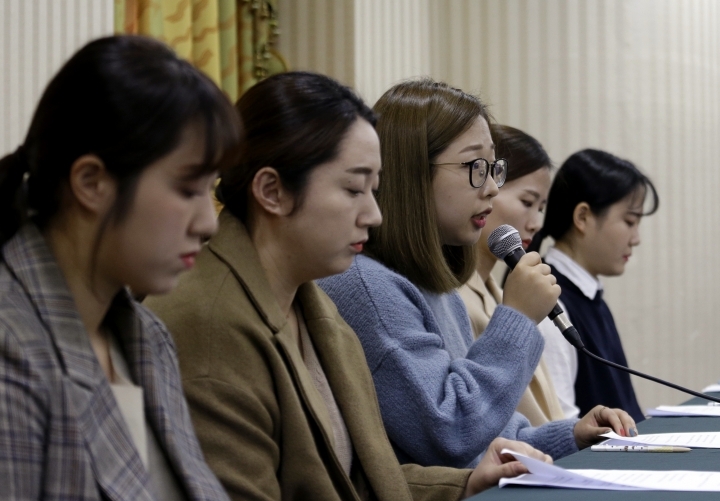 SEOUL, South Korea — The Garlic Girls, South Korea's hugely popular Olympic silver medalist curlers, accused their coaches Thursday of ruining the team with abusive treatment in a dispute that has spoiled one of the year's feel-good sports stories. 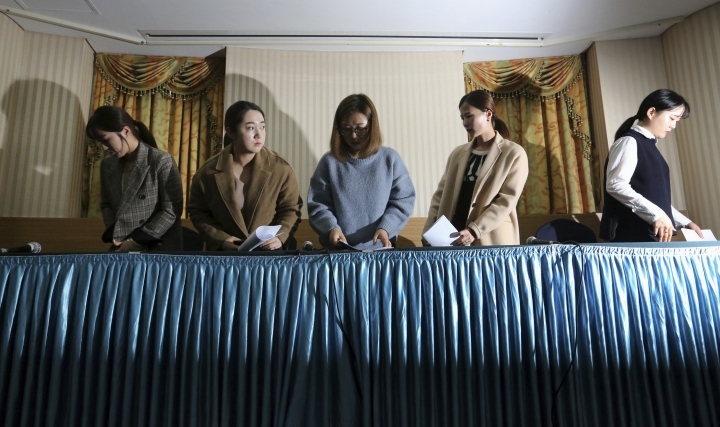 The women's claims, if confirmed, suggest a familiar tale of abuse, corruption and nepotism that has regularly marred South Korea's highly hierarchical elite sports scene. 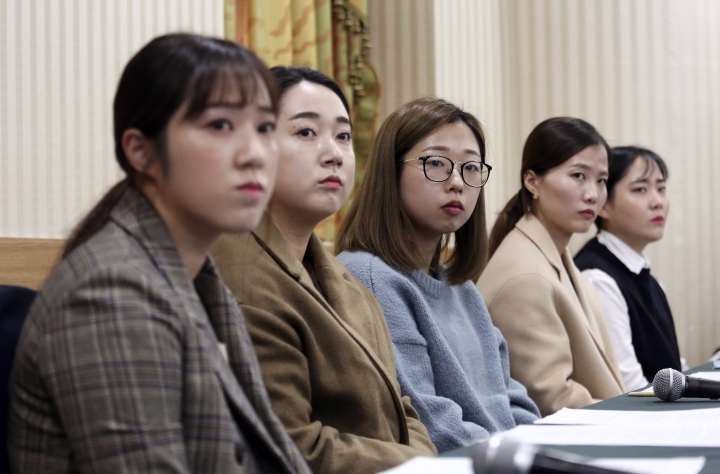 Men often run South Korean sports efforts, and while the team's head coach is a woman, men in her family, including her father, a former leading figure in South Korean curling, play a prominent part in the team's accusations of abuse. "We can no longer work with a coaching staff that is trying to divide the team," Kim Seon-yeong said in a glum news conference in Seoul. The players also accused the coaching staff of skipping training sessions, holding back prize money and trying to force a married member off the team. "We need a coaching staff that can train and lead us properly. 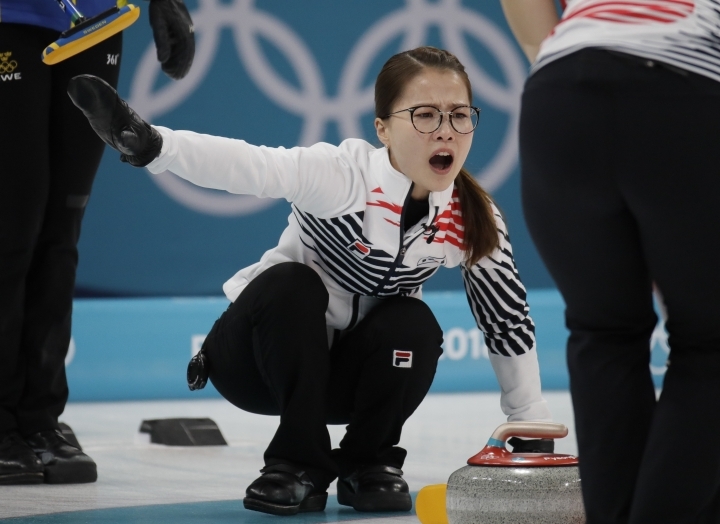 We want to continue our curling careers and aim for bigger goals at the Beijing Olympics," Kim said. 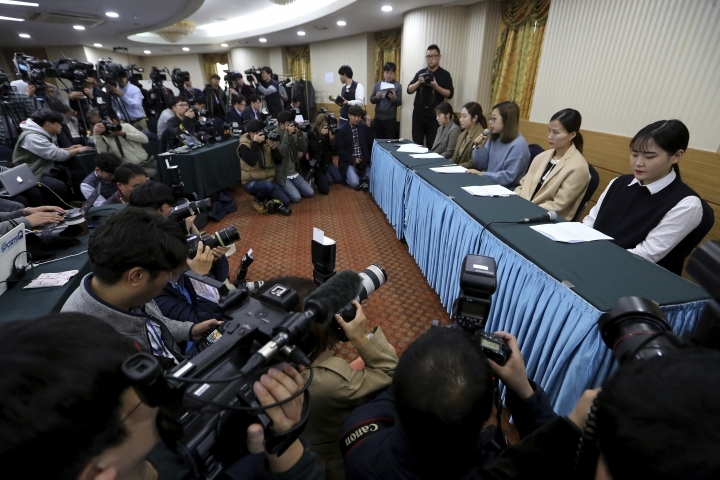 The news conference came a day after South Korea's Sports Ministry and National Olympic Committee announced a joint investigation into allegations that became public after the athletes sent a letter outlining their complaints to sports authorities last week. 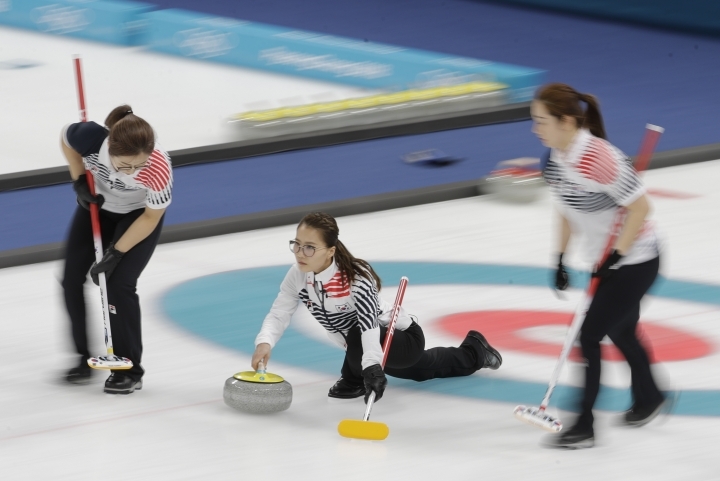 The five-member women's curling team became an overnight sensation after their improbable silver medal run in February's Winter Olympics in Pyeongchang, South Korea. They enthralled a country that barely recognized curling before they made their run and became sought-after spokeswomen in commercials. Their nickname is a nod to the famous garlic produced in their hometown in Uiseong, in southern South Korea, where they met and began playing together as teenagers. 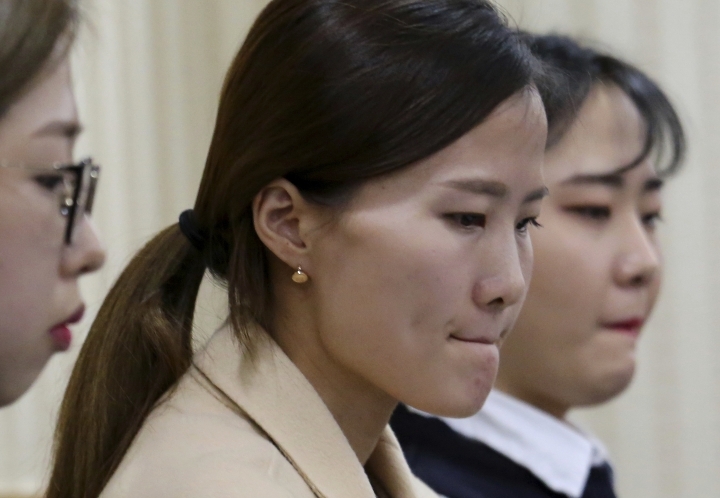 In their letter to the Korean Sport and Olympic Committee last week, Kim Eun-jung, Kim Seon-yeong, Kim Cho-hee, and sisters Kim Yeong-ae and Kim Yeong-mi accused former Korean Curling Federation vice-president Kim Kyung-doo of verbal abuse and team coaches of giving unreasonable orders and subjecting their lives to excessive control. In Thursday's news conference, the curlers said coaches instructed them what to say in interviews and closely monitored their private lives after training hours, scolding them if they met with athletes from rival teams. Letters and presents sent by fans "were already ripped open" before they reached the curlers, Kim Seon-yeong said. "We can't understand why the head coach had to rip open and check the presents and letters sent to individuals before they reach the athlete," she said. 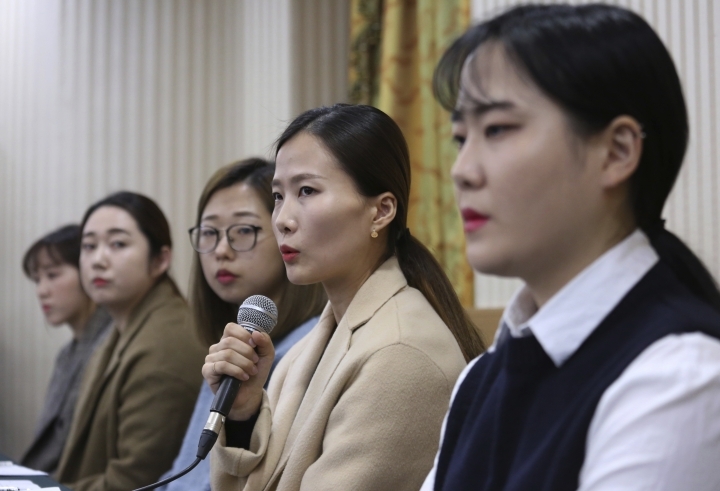 "We had thought we could go together with that family, but after going through the Olympics, it became clear to us they were a family that cared only about themselves," Kim Eun-jung said in the news conference. "They don't want the athletes to grow and get better. ... They don't want the athletes to become bigger than the organization." "We were already receiving (state) training funds as members of the national team, and we couldn't understand why the prize money was not being distributed to us," she said.